My sister-in-law found this machine at the Habitat for Humanity store in Marianna, FL. 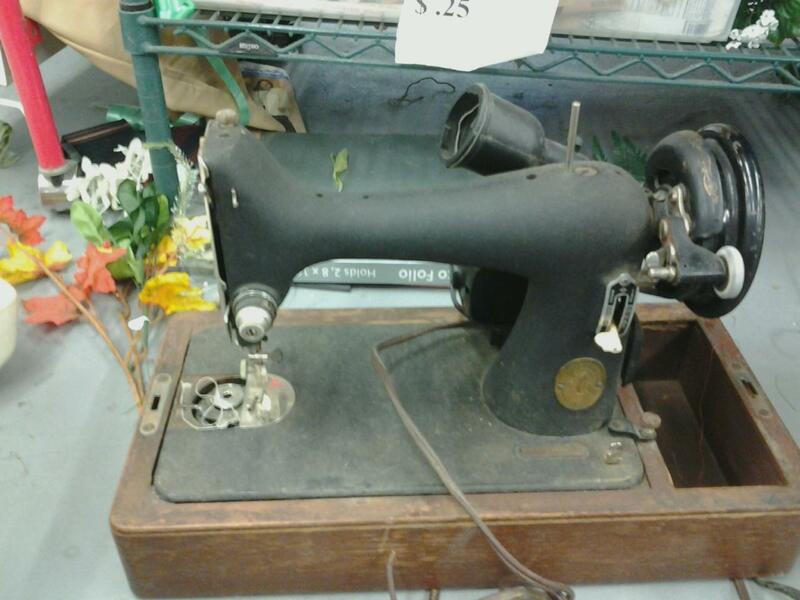 It’s a Singer sewing machine. Based on the serial number, the machine appears to be a model 99 made in 1947. It is a straight stitch machine WITH the back-tack feature. The handwheel and needle mechanisms work smoothly. IMHO, it’s worth making the minor repairs needed to get this old girl back into service. (The other option was to let it be a decorative object in my studio). My father-in-law is going to rewire the foot pedal and refinish the case. It obviously needs the bobbin plate cover, a spool pin felt and who knows else. I’ll take care of those once I get the machine. So thankful for all the folks online who freely share their knowledge of vintage sewing machines!